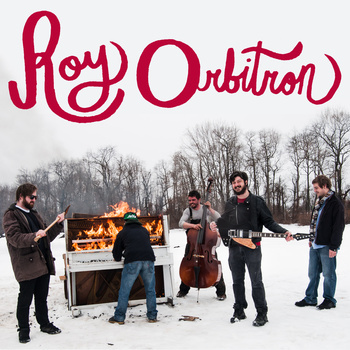 Roy Orbitron are a Rhythm & Blues/Rock & Roll sextet from Trenton, New Jersey. With a recent past of naming their releases after famous musicians and record producers, their latest record Jeffrey Lynne (named for Electric Light Orchestra’s front man) has arrived. It breathes new life into a genre that, unfortunately, a lot today’s younger generation don’t really know much about. Opening with the track “Rain Jawn” gives a solid display of what this band is about. Featuring vocals with heavy effects and violin all set to odd time signatures and a catchy chorus, the album’s first impressions is pretty accurate, due to the same features reoccurring throughout the entire record, such as the heavy vocal effects which appears on every track in some form or another. Other tracks move away from the fast paced rock ‘n’ roll tone, at least for a while, such as the track “Halfway,” which starts with a relatively slow tempo and a relaxing guitar riff that slowly builds up with a crescendo, and then a third of the way into the track, it launches itself full force. It packs a lot for a track lasting a mere one and a half minutes. Jeffrey Lynne is out now and can be bought from Roy Orbitron’s bandcamp found here.